I ignored her at first, but after the disappointments from the latest movies I’ve seen, X-men: Days of Future Past, Think Like a Man 2, and Godzilla—I’m officially done with Hollywood. I’ll save my movie money for an industry that isn’t going to regurgitate stereotypes wrapped in lame, white-washed plots. 1. Hollywood doesn’t know what to do with women. As a fan of all things alien and futuristic, Transformers is usually right up my alley. 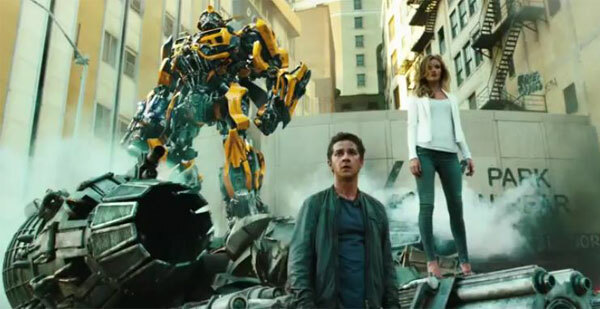 But third Transformers, released prior to the latest movie turned me off for good. And can she do anything else besides scream, run, and act as the distraction while Shia LaBeouf saves the day? So I refused to see the latest Transformers because I knew it would have all the same hackneyed motifs— and according to a few reviews, I was spot on. I mean, is anyone else tired of the Damsel in Distress in action films? Some of these writers need to take note from The Hunger Games series. Transformers isn’t the only movie that could’ve utilized the female characters better. In X-men: Days of Future Past, the good white men save the day while the women and characters of colors sit and wait. However, in a 90’s cartoon version of Days of Future Past, it is actually Kitty Pryde who goes back in time to save mutants and humans from their horrible future. Xmen with a woman saving the day sounds like a cools concept. Especially considering Pryde’s mutation makes her untouchable, literally. I love Hugh Jackman as Wolverine—but it’s time for a diverse range of characters to take the spotlight. Where are all my black leading characters? Not in action films. Not in sci-fi. Not even in animated films. Oh that’s right: black characters are ghettoized into the black film genre, which currently includes the Think Like a Man series, Tyler Perry films (ugh), and whatever Kevin Hart’s currently starring in. As for all the other people of color: Y’all don’t even get “race-themed” genres. Yet, whenever all of the characters in a film are white, directors love to claim that “it’s not about race.” Films like Noah and the Gods of Egypt got a lot of pushback for their majority-white cast. And there lies the problem: white is the “stand-in for all people.” Only white skin can represent the whole of our society. This thinking is the very reason why movies are so white, why you hardly ever see Asian male characters in films outside of martial arts films (and Godzilla), and why Halle Berry is the only woman of color ever to receive an Oscar for Best Actress for a leading role. Let’s get one thing straight: whenever a cast of characters is mostly white, it’s not an accident. If race really didn’t matter, then we would see more diversity. We live in an extremely diverse country with people of origins all over the globe. You just won’t find them on the screen. I talk about stereotypes a lot on A Womyn’s Worth. And I’m already over my word count, so I’ll be brief with this point. The trailer of Dear White People, a comedy about stereotypes and white people’s discomfort with diversity, pretty much sums up my feels about seeing stereotypes on the screen. If you want my in-depth commentary on this topic, check out my article, “Where Are All the Leading Ladies of Color?” which was featured on Ms. magazine’s blog. Finally, I know my one-woman boycott doesn’t really make a difference in anyone’s life but my own. But imagine if every person of color stopped paying money for the exclusionary crap Hollywood puts out. Box offices numbers would drop tremendously, folks will lose money, and things would undoubtedly change (You know what they say: Hit them where it hurts the most—their wallets). Representation matters, folks. Hollywood tells us that white people are the stars and the rest of us are just extras, brought in to uphold stereotypes and act as sidekicks. So I can no longer contribute to an industry that makes billions of dollars excluding people like me or making us look bad.